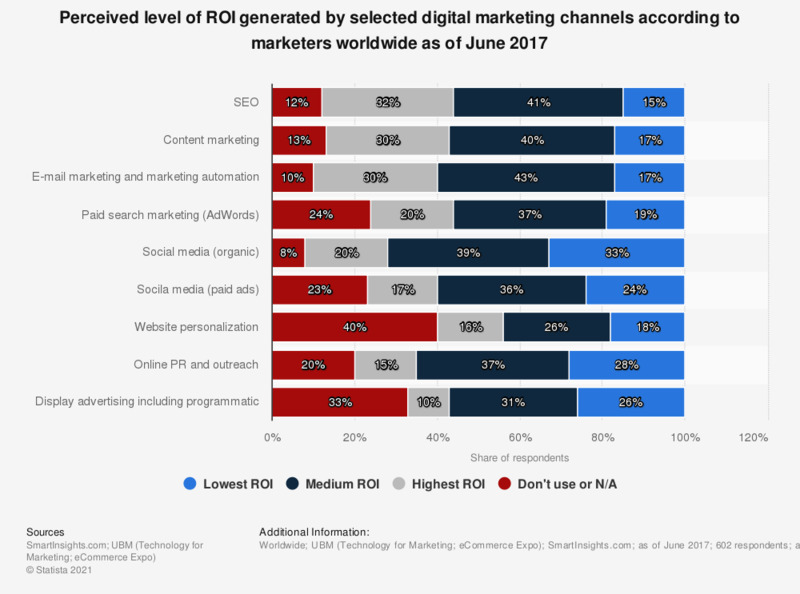 The statistic presents information on the perceived level of ROI generated by selected marketing channels according to marketers worldwide as of June 2017. It was found that 17 percent of responding global marketers believed that paid social media ads generated the highest ROI, as opposed to 24 percent who said this channel generated the lowest ROI. The source did not provide information on the exact date of study or the survey type. Which of the following channels are most effective at bringing you new leads and customers?